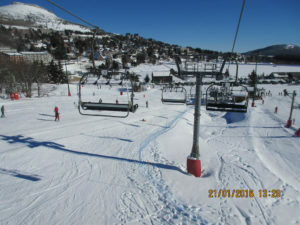 Seasonal activities at Besse, Super Besse and surrounding areas. Besse is a beautiful medieval town with great character. It offers a lot of activities during the year which caters for the active and those who wish to relax. There are 22 ski lifts. Ski shops (Including Intersport) where you can hire/buy ski equipment. During the winter season a free bus provides transport for skiers from a bus stop at the end of our road to Super Besse – the ski station. Cars can be rented from Claremont Ferrand – the administration capital of the Auvergen which is a half an hour drive away. 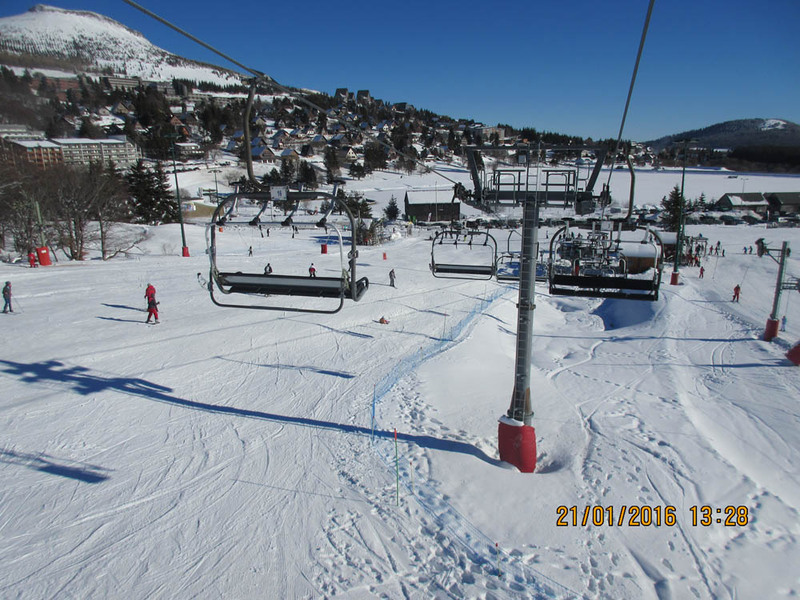 A non-driving holiday is possible because the facilities in Besse are within walking distance. There are local taxis available. 3. There are three lakes close to Besse which have beaches, water toys, pedaloes and other water sports facilities. 4. For younger children there is an animal park at Murol. More information can be obtained from the Tourist Information Centre in Besse and Super Besse.